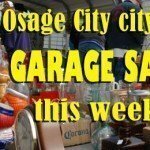 There are some very special events at the Osage County Senior Center in July, with the ice cream social the evening of July 31; senior commodities distribution on the 22nd; and the various health care related services on the 16th and 18th. But, our biggest announcement has to be the senior center visit by Bob Dole the night of July 15. 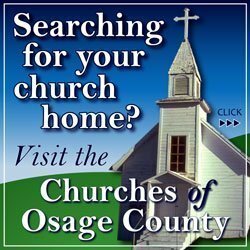 More information on Dole’s visit to Osage City is here. There are a few seats available on the bus trip to Topeka for a meal and a movie on July 24. However, the evening supper trip on the 30th to Council Grove is full. There’s always plenty of room on our shopping trips to Topeka and Emporia. So, please call us at 785-528-4906 if you would like to ride on our convenient and efficient public transportation bus service. 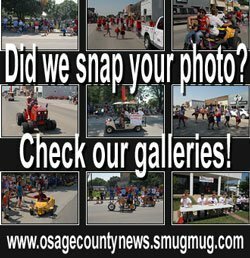 Thursday, July 10 – ONC Biscuits and Gravy Extravaganza 9 a.m.; art and painting class 9 a.m.; Wayne’s technology assistance 9:30 a.m.
Friday, July 11 – Bingo 10 a.m.; cribbage 12:15 p.m.
Monday, July 14 – Sewing 8 a.m.; armchair exercise 11 a.m.; cribbage 12:15 p.m.; play pitch and eat 5:15 p.m., with cards beginning at 5:45 p.m.
Tuesday, July 15 – Ceramics 9 a.m.; Mexican Train games 1 p.m.; evening visit by Bob Dole, 6:15-7:15 p.m.
Wednesday, July 16 – Sewing 8 a.m.; armchair exercise 10:30 a.m.; birthday lunch 12 noon; PRN blood pressure checks after lunch; Cribbage 12:15 p.m.
Thursday, July 17 – Art and painting class 9 a.m.